Sleep masks come with the promise of the kind of sleep science says is good for you—that is, the kind you get in total darkness. 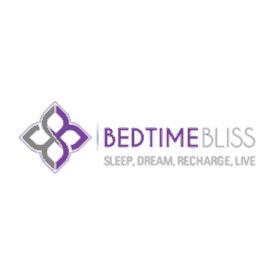 So does the Bedtime Bliss Contoured and Comfortable Sleep Mask deliver? Read on to find out. With a comfortable, contoured fit, the Bedtime Bliss Sleep Mask is a true dream! Looking to up your mask game? 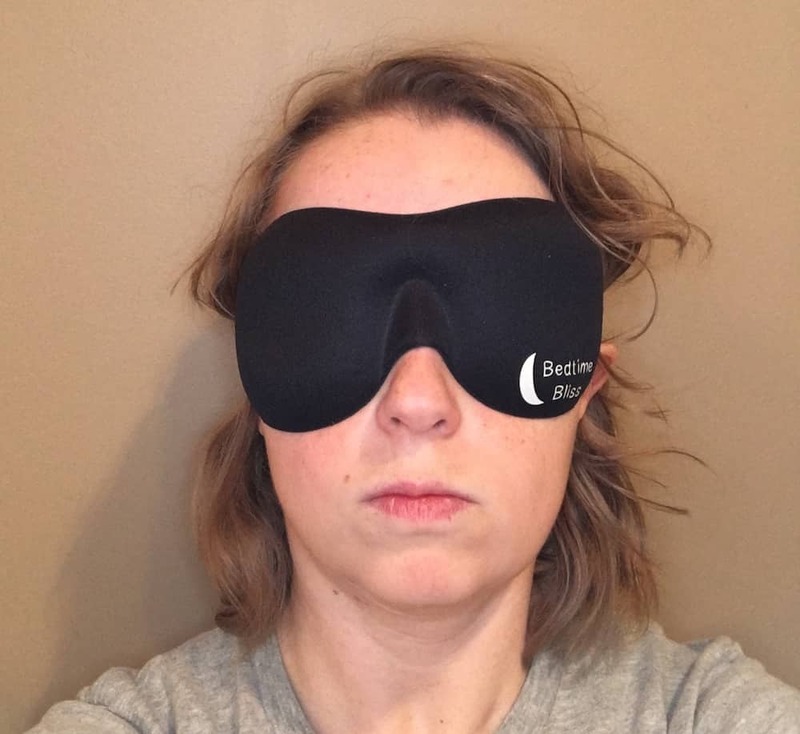 Check out my sleep mask top picks! The Bedtime Bliss Contoured and Comfortable Sleep Mask comes in a simple box that was about the size and shape (I’m probably dating myself here) of the boxes those Isotoner gloves you’d buy your mom for Christmas came in. There’s no photo of the mask on the box, so opening it I didn’t know what to expect beyond what the description on the back of the box told me: something contoured so I could open my eyes that wouldn’t smudge my makeup but would offer a total blackout experience. The package, when I opened it, contained the mask as well as a travel bag and a set of earplugs. The mask, made from a black synthetic material fused on the inside and outside of the contoured foam mask, features Bedtime Bliss’s logo but is otherwise unadorned. The mask is flexible and very lightweight, and includes indentations for both eyes as well as the nose. The eye indentations keep the mask from rubbing against your eyelids when you sleep—and they’re also why Bedtime Bliss claims the mask won’t smudge your makeup. The nose indentation, presumably, serves two purposes: keeping the mask from sliding out of place, and preventing rubbing or irritation to the nose. This is another mask with an elastic-and-Velcro strap—which we’ve already established is not my favorite. An adjustable strap is nice, but it’s even nicer not to wake up with tangles in your hair, or your mask stuck to your pillow. But, I’ve loved masks that happened to have velcro, so maybe this one would be different, too? When I put the mask on, I had to tighten the strap so much that the Velcro barely connected—meaning that the rough part of the Velcro had even more of a chance than usual to get caught in my hair. And, even tightened, the strap slipped a bit. Fortunately, the mask itself stayed mostly in place while I was upright and when I initially laid down on my back, and was comfortable against my face. I was able to open my eyes with the mask on, and when I did, very little light shone through. As a side sleeper, I’m particularly picky about sleep masks, because I don’t want them pushing against my pillow or into my face. Because the strap had been loose, I was a bit worried that once I rolled to my side it would shift uncomfortably. I was surprised that the mask only required minor adjustments when I laid down, and that after that, there was still very little light coming in behind the mask. I was able to sleep pretty comfortably. That being said, I did have a bit of irritation behind the tops of my ears the next morning—the slipping strap had rubbed the skin there—and I had to pull a lot of hair out of the Velcro before I could comfortably remove the mask. (The Velcro also attracted a lot of cat hair overnight.) A good night’s sleep, but followed by a morning nuisance. Napping with the mask was much like sleeping in it overnight, with one caveat: because I was napping in a reclined upright position, and not flat, there was no pressure holding the mask in place, so the strap slipped quite a bit more than it had overnight—almost to the base of my skull. The strap didn’t make the mask uncomfortable, because the indentations over the eyes were large enough to accommodate the motion, but the nose indentation slipped down more than was comfortable, and I woke up a few times enough to slide the mask back up. I was pleased, when waking from my brief nap, that even with the slipping, my makeup remained in good shape. 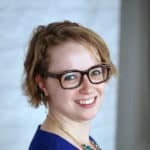 It may not be a big deal for everyone, but if you’re napping before going out—to a meeting, to dinner, what have you—and you already had makeup on, it’s nice not to have to do too much repair work on it. Five Star Review: “It is extremely comfortable, very soft and doesn’t come off when you move around.”—I found the mask itself plenty comfortable but the strap less so. Surprisingly, though, even though the strap was too loose on me, the mask shifted very little overnight. 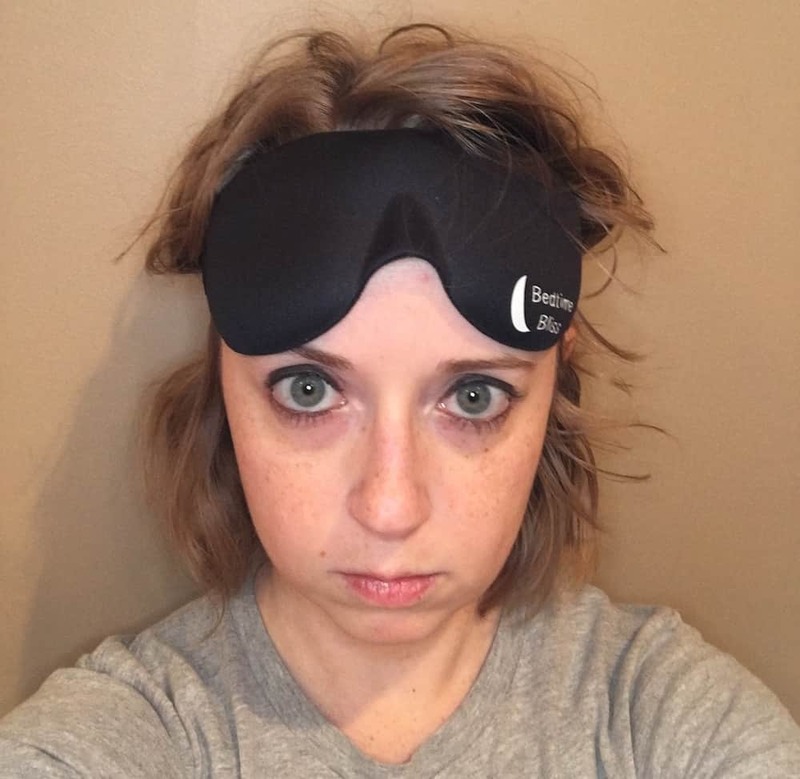 One Star Review: “After about three months of regular use, the thing is breaking apart, with a whole layer of fabric peeling off.”—I only wore the mask a handful of times, so I can’t vouch for this common complaint about the Bedtime Bliss Contoured and Comfortable Sleep Mask. But with the fabric fused to the foam rather than sewn, I can see how this would be a common complaint, especially with people with oily skin or those who sweat a lot in their sleep, as the moisture could affect the integrity of the bond. Other Options: Bedtime Bliss also makes a version of this mask with a cotton-bamboo fabric rather than the synthetic. In the cotton-bamboo blend, the mask is available in midnight black, vibrant pink and luscious red through both Bedtime Bliss and in jet black, pink, purple, and red on Amazon. Although the Bedtime Bliss Sleep Mask’s strap was too loose, even with Velcro adjusted so tightly that it caught in my hair, it wasn’t uncomfortable to sleep in and did block light as promised. It’s not easy to find a good mask for side sleepers, and although this isn’t the best one I’ve ever tried, it did it certainly didn’t keep me up all night. It’s possible that if you’ve got a bigger head than I do (and maybe less hair?) this could be the perfect mask for you. Ready to buy? 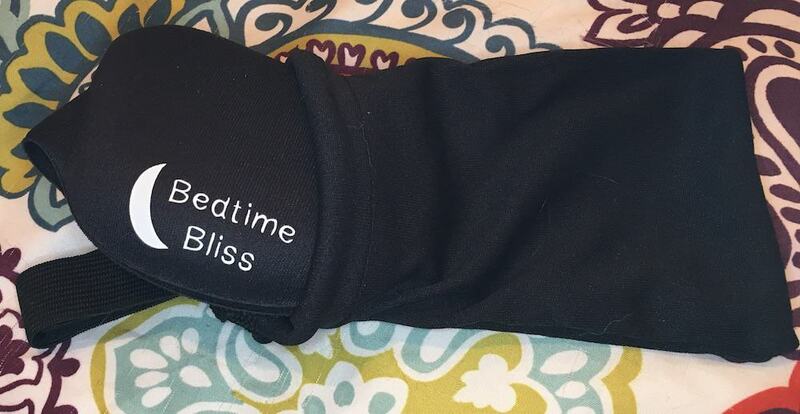 Grab the Bedtime Bliss Sleep Mask on Amazon!